New York (TADIAS) — The first time that Rachel Samuel met Asnaketch Worku, she was shocked. The famous artist was “bedridden in her two room house, sick and laying on her bed in the living room,” recalled Rachel, who is the Director of Asni: Courage Passion & Glamor in Ethiopia, featuring the life of one of Ethiopia’s legendary musicians. “This was not the Asnaketch I remembered from that black and white ETV video when I was little” Rachel added: “But that shock didn’t last more than a few minutes. As she started telling us about her past, the strength of her soul immediately became apparent.” Rachel was mesmerized by “how candid, direct and passionate about life” she found Asnaketch to be. ”She seemed to me to be a rare breed. Thinking of her in conservative Ethiopia in the 1950-60’s I wanted to know more,” Rachel added. The film took a little over four years to complete as Rachel and her husband worked on the personal project whenever they had the time and chance. “Asnaketch revealed herself slowly as we got to know each other over the years, and once trust was established, to get the best of her took a few interviews,” Rachel shares. Locating historical footage was a significant challenge. 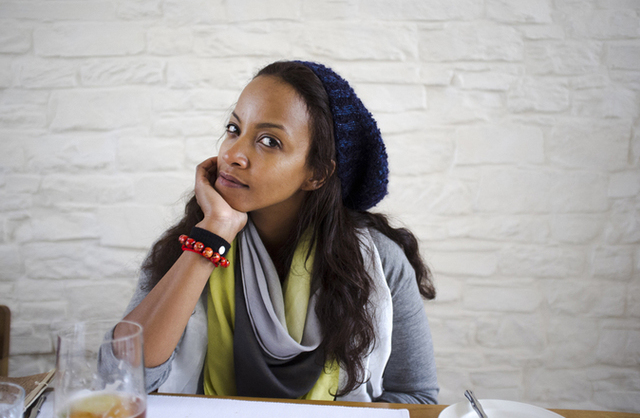 “Ethiopian Television, which is the only source in the country, was difficult to deal with,” Rachel admits. The film was edited and co-produced by filmmaker Yemane Demissie who is also an Associate Professor at NYU’s Maurice Kanbar Institute of Film & Television. “I remember walking into his studio on South Market, with its high ceiling, lights, cameras all over the place. He handed me an Olympus OM1 and said ‘here, take this camera, here are bunch of films, go shoot and come back next week and show me your work.’ That’s how it all started,” Rachel recalled. “Asni” will screen in New York on Thursday May 1st at 6:30pm at Tisch School of the Arts, NYU (721 Broadway room 006). Rachel Samuel will be present to discuss her work. Learn more about the film at www.asnithemovie.com.